Mysterious worlds with icy, dense cores surrounded by clouds of gas, or rocky planets like our own — the conditions in our solar system are astoundingly different, but there are fascinating similarities between its worlds. Jovian planets were formed outside the frost line, while the terrestrial planets were bathed in warm sun rays. Vastly different conditions led to the creation of worlds that would float on water and worlds suitable for manned missions; nonetheless, they share some striking likenesses. Each planet orbiting our sun is unique. Yet the four inner planets have much in common. Mercury, Venus, Earth and Mars are terrestrial or telluric planets. They are rocky with a dense metal core consisting mostly of iron. Planetary scientists theorize that Mars and Venus may once have had conditions like Earth's, favorable to life. The name "terrestrial" comes from the Latin word "terra," which means land. There are at least four Jovian or gas planets in our solar system. Jovian planets such as Jupiter, Saturn, Uranus and Neptune are large planets that are composed of light materials such as hydrogen and helium. The name "Jovian" comes from the planets' resemblance to Jupiter. The moniker "gas planet" is slightly misleading, since the interior of these frigid planets is gas supercooled to a liquid state. Our solar system is part of a larger solar nebula. A solar nebula consists of a cloud of gas and dust left after a sun has formed. The discovery of extrasolar planets has introduced problems into our understanding of solar system formation. For now, the nebula theory of planet formation is the most popular explanation. That theory holds that all the planets in our solar system were formed from the same material. The natural elements present on the planets today were present in that solar nebula. Our sun and the Jovian planets consist mainly of hydrogen and helium, while the inner rocky planet consists mainly of silicon, iron and copper. All planets in our system are spherical. Yet the poles on terrestrial planets are less flat. Terrestrial planets spin slower and this affects their overall shape. 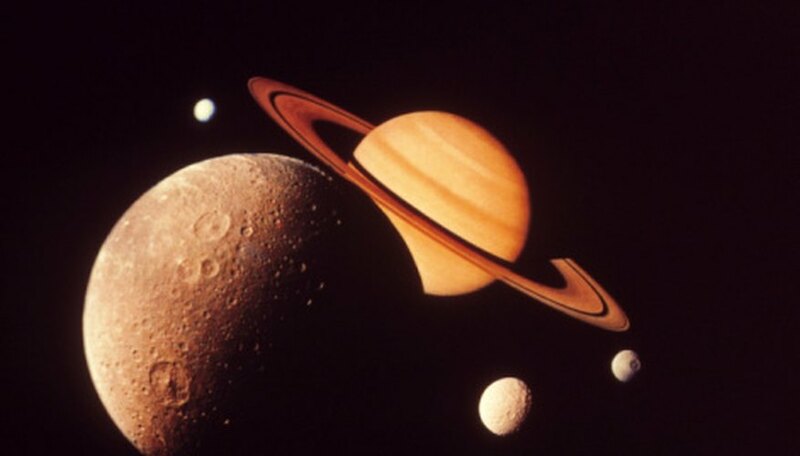 Most of the planets in our solar system have a nearly circular orbit around our sun. The astronomer Johannes Kepler discovered that the orbits are actually ellipses. The only planet that has a different orbit is Mercury. A planet’s orbit is described by referring to earth’s orbital angle. Mercury’s orbit is inclined by 7 degrees to Earth’s orbital plane, while Jupiter’s is just over 1 degree. Thus, there are similarities between terrestrial and Jovian planets when you describe their orbits around our sun. The planets in our solar system have similar interiors composed of a core and a mantle. Terrestrial planets also have a crust or a solid outer shell. The core of terrestrial planets consists mainly of iron, wrapped in a silicate mantle. Computer models suggest that Jovian planets have a core consisting of rock, metal and hydrogen. A gaseous atmosphere surrounds both types of planets. Jovian planets may consist of a gaseous "surface," but they still have separate atmospheres with cloud layers. Terrestrial and Jovian planets have weather. Photos of all the planets in our system show bands and spots indicating weather activity. That means storms and winds influence the conditions on the planets. Storms on Jovian planets are intense and can affect the clouds that surround the planets, which can be seen from Earth-based telescopes. Jovian planets have several layers of clouds of varying colors, with the top layers consisting of red clouds and the bottom of blue clouds. Intense storms move the layers of clouds around and the color of the area changes. 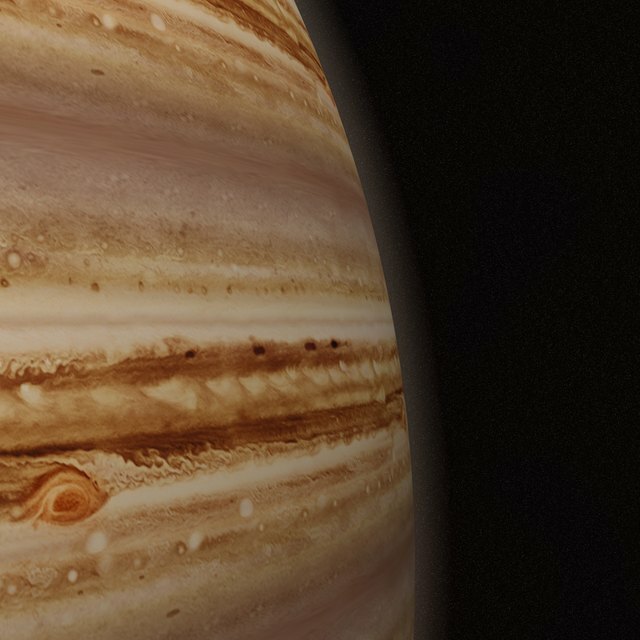 Jupiter has a storm area that is the size of two Earths. NASA says the storms on Jupiter are so powerful that they drag material from beneath Jupiter's cloudtops and lift it to different cloud layers. Terrestrial planets also have clouds, but the effects of weather are less severe. A strong magnetic field is common on the Jovian planets, and several terrestrial planets have magnetic fields. Earth's magnetic field helps create the planet's auroras by deflecting the charged particles of the "solar wind." Jomard, Asa. "Similarities Between the Terrestrial & Jovian Planets." Sciencing, https://sciencing.com/similarities-between-terrestrial-jovian-planets-8574781.html. 25 April 2017.